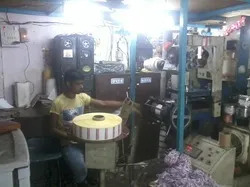 Established in the year 2011, at Delhi (India), we, “Shri Ram Label India Pvt. Ltd., are highly recognized as the trusted manufacturer, trader and supplier of a comprehensive assortment of Barcode Printer and Labels. The offered products are fabricated using the best grade raw material and sophisticated technology. These are manufactured with high precision in order to meet the international standards. We trade our products under the name of CSC, Citizen, Postek, Motorola, Ratsol, Incode, Zebra, Avery Dennison Paper, Reflatech Paper. Also, the offered products are highly admired among clients for their resistance to wear & tear, attractive looks and optimum finish. The offered products are available in various designs, dimensions, sizes, colors and patterns as per the varied requirements of clients. Moreover, these products can also be availed by clients from us at the most reasonable price range. 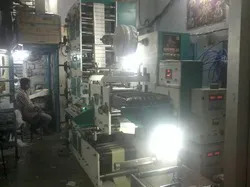 We have established an advanced manufacturing unit that is equipped with all the required machines and tools that are requisite for fabrication of our offered product range. Our machines and equipment help us to incorporate high-end technology in our products. With the help of our highly qualified and skilled team of professionals, we have been also able to cater the variegated needs of our prestigious customers in the best possible manner. Our professionals are assets of our organization who possess rich industry knowledge that make us competent to inculcate the latest fabrication techniques. Our professionals work with the dedication to manufacture qualitative range of products. Backed by quality centric approach, we have been able to offer finest grade products to the clients. Our quality controllers keep a close eye on the entire fabrication process right from the procurement of raw material till the final dispatch. 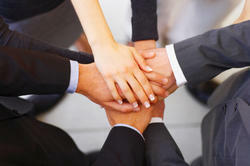 Our team of industrious professionals helps us in attaining new heights of success. Customer centric approach and ethical business practices help us in ensuring complete client contentment. Owing to our superior quality products and transparent business deals, we have managed to outfit to the requirements of clients. Under the visionary guidance and leadership of our mentors, “Mr.Yogesh Singh Shekhawat”, we have witnessed the zenith. Due to their vast market knowledge and rich industry experience, we have been able to garner a wide client base across the nation. Manufacturing and Trading of Barcode Labels, Product Labels, Computer Labels, etc. We have a competent team of professionals, who are well-versed in their respective field of specialization. All our professionals use their knowledge to manufacture Barcode Labels, Product Labels, Computer Labels, etc as per the international quality norms. They work according to their assigned responsibilities and for the best results our professionals work in close-coordination with each other. We also conduct regular training sessions and learning programs to keep them abreast of the latest technological advancements. We have 3 well Experience operators for manufacturing. 2 marketing person with knowledge of Printer Installation and software/ Service manager. 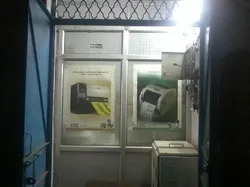 Being a quality centric company, we strive hard to cater to the various needs of clients by offering qualitative range of Barcode Labels, Product Labels, Computer Labels, etc. Raw material used in manufacturing our products is procured from the most trusted vendors of the industry. These are also manufactured in complete compliance with the set industry norms. 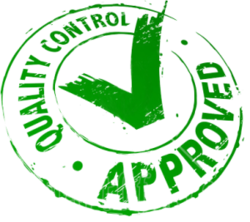 Our team of quality controllers extensively examines the offered products to minimize the chances of inconsistency and defects. Highly enthusiastic, motivated and qualified team. 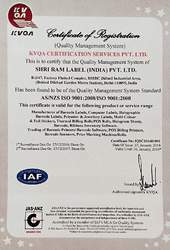 ISO 9001:2015 is the title of a document (Standard) that outlines the requirements an organization must maintain in their quality system which we have managed for ISO 9001:2008 certification. There are several different documents in the ISO standards but ISO 9001-2015 is the only ISO standard that requires certification.